I teach Sociology of Education at Kenyatta University. 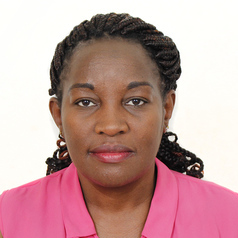 I hold a PhD from Kenyatta University based on my research in Exploring Enabling Interventions for Increasing Female Students’ Access and Participation in Science, Technology, Engineering and Mathematics (STEM) Disciplines in Kenyan Public Universities. Currently i am the school of education Coordinator of Post Graduate Diploma in Education(PGDE) and Content Enhancement programs. I have published widely in Gender Policies and Educationa mentor and career guidance specialist in secondary schools in Kenya. I am a member of international Lions Club and Women Educational Researchers of Kenya (WERK).